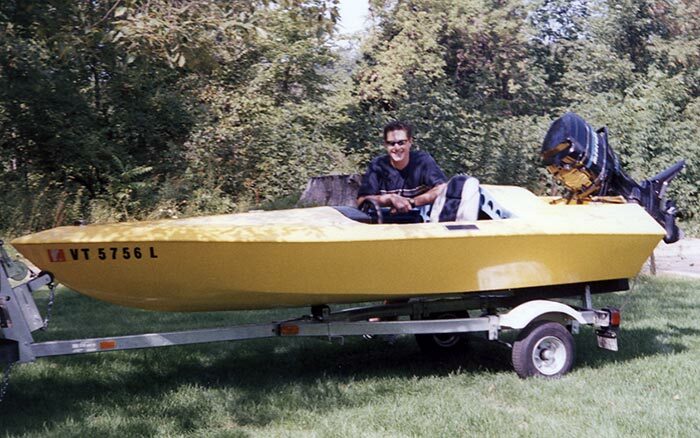 Mike Nichols and his son Christopher built this 13'6" speedboat. The plans were from Glen-L Marine and they used stitch and glue construction. They use it with a 50 hp mercury engine on Lake Champlain. After spending more than a year building the boat, they launched in the summer of 2001.